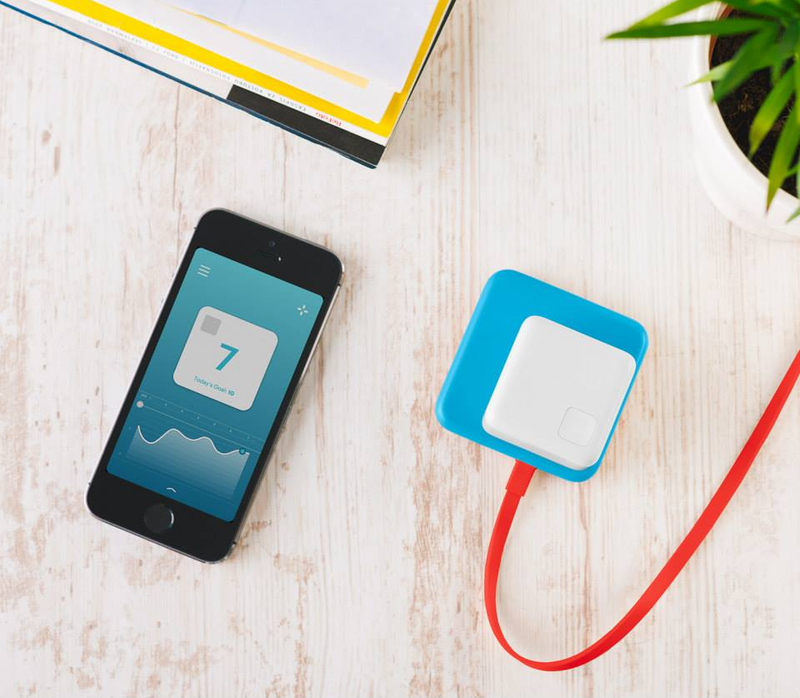 The OKU Skin Health Sensor is a tiny handheld cube equipped with an optical scanner. You place it on the surface of your skin and it will look into the layers underneath. If you’ve ever had a Visia or similar professional skin analysis done, then you’ll be familiar with the idea behind it. Check out my Visia analysis here. The OKU takes a snapshot of your skin and analyses it. It will then factor in any lifestyle information you entered into the accompanying OKU app (downloaded on to your smartphone - initially iPhone), before giving you a "SkinScore". This score will give you an idea of how healthy your skin is, as well as flag up areas for improvement. The app will give a personalised assessment of wrinkles, moisture levels, texture, pigmentation and so on. It will also offer advice on diet and lifestyle, as well as suggest products and improvements to your regime to fix specific skin issues. The product bit intrigues me - it’s not clear currently if the app will recommend particular products and brands, or something more generic. 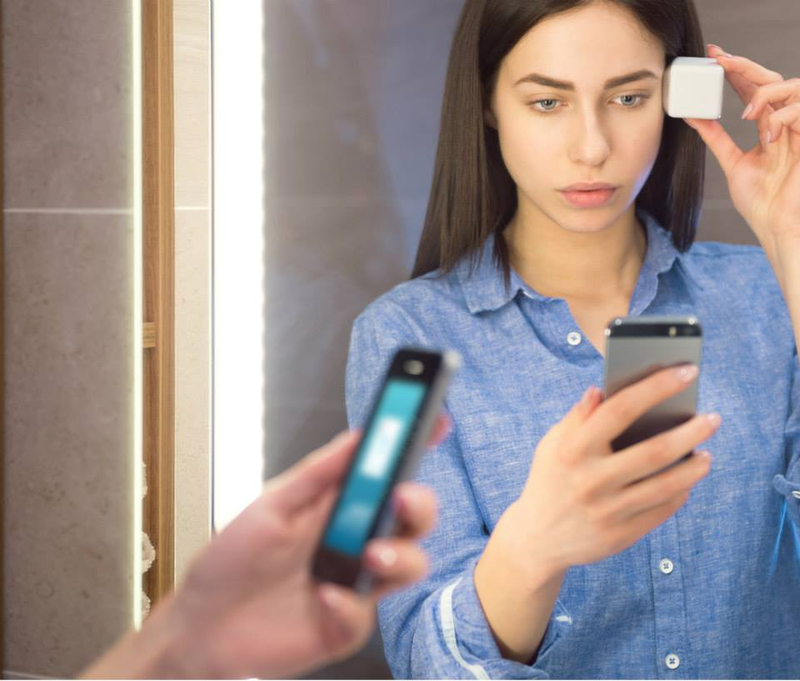 What’s exciting about this device/app combo is that it could potentially provide us with the best home tool yet for assessing skincare efficacy. Currently this is very difficult to do. A lot of us rely on before and after shots, and/or anecdotal evidence, to work out whether a particular product has delivered results or not. Although, of course, there are many factors contributing to overall skin health, not least diet, exercise and the amount of sleep we get a night! The OKU generated a huge amount of interest from the techie crowd at last week’s CES Expo in Las Vegas, where it was previewed. It is available to pre-order at a launch price of $249.95 (normally $299.95), and is due to ship in Spring. More info here. I am certainly very excited about this ap. My wrinkles need to go. wow sounds like an interesting gadget although a little expensive for me. Oh, wow, that product sounds really helpful, especially when you take into consideration of the fact that your skin can tell you a lot about the state of your health. This sounds amazing. Maybe we should chip in and share one! ?